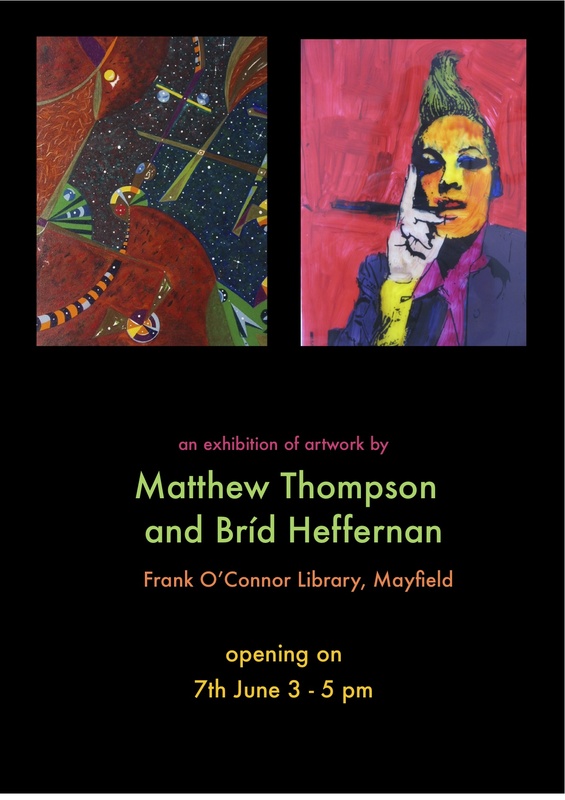 Cúig studio artist Bríd Heffernan is currently exhibiting some of her art work with Cork born, international artist Matthew Thompson, at Frank O’Connor library Mayfield. Matthew has exhibited extensively worldwide, including St Petersburg City Hall, Russia, Beijing Art Village Exhibition Centre, Beijing China and Oslo City Hall Galleries Norway. His work is featured in the artist collections of The Irish Embassies Finland and Nordea Bank, Helsinki. Bríd has been part of Cúig Studio artists since 2008 and has exhibited in many exhibitions and events both nationally and internationally including HAI New York, Gallerie Outsider Art Amsterdam, City Hall Cork, Jennings Gallery UCC, & Southbank Centre, London. 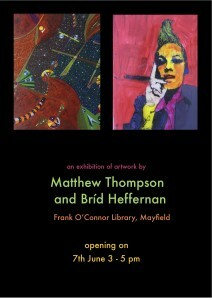 The exhibition will run until July 2nd.